We designed these two armbands for Jakub to represent his marriage. These two new parts extend the armbands both in size and meaning: the family now includes two children, represented by the new parts where the names of the children appear as maorigrams. The two half turtles join and complete the previous ones keeping the separation in the middle because, now even more, family is not complete without all of its members. 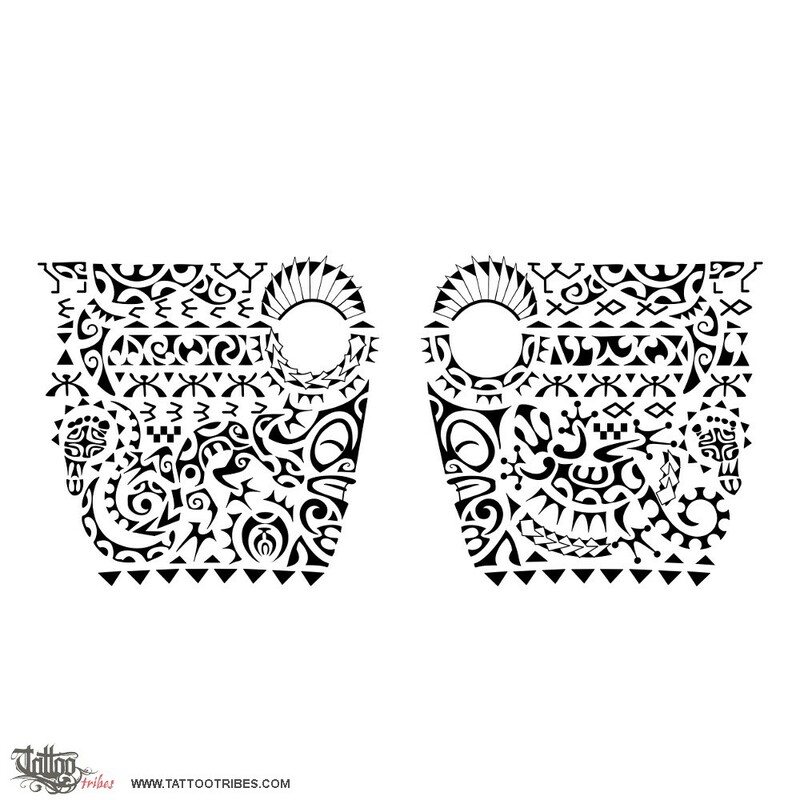 On the inner part of the armbands we recreated Jakub´s sons´ footprints with Polynesian elements, using the Marquesan cross as a symbol of harmony and balance and placing two tiki on their side for protection. The lizard and gecko surrounding them on the opposite side are a wish for luck and health, with an all-seeing eye for further protection. The two rows of enata below the maorigrams of their names represent family supporting the two children.